Owner’s talk about their Tideways …. 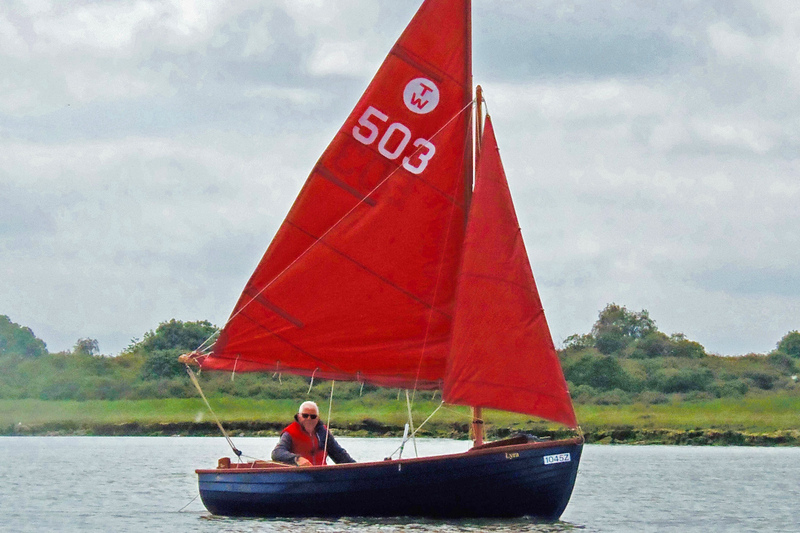 Bought new at the Boat Show by my father Bill Pope in 1962, our “gunter rigged sloop” Jolybods is a longstanding member of the family, 56 years old this year. 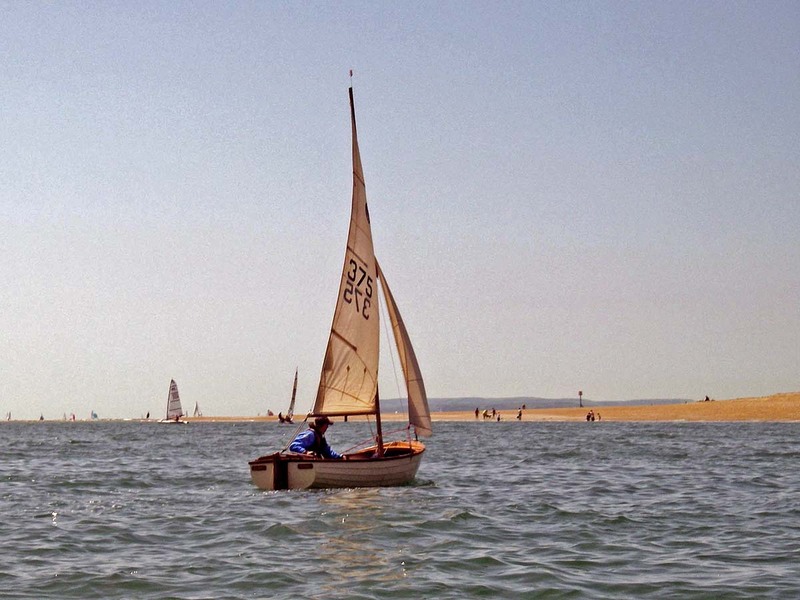 Originally bought as a family boat to take away on summer holidays, the Tideway has been sailed over the years in Cornwall, Kent, the Solent, Scotland, Ireland and Brittany. 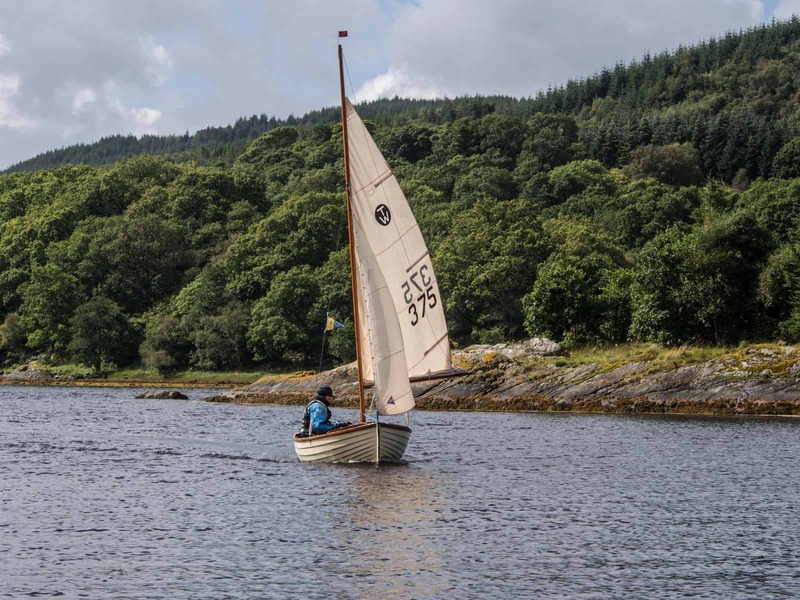 In 2014 I decided to take her to Stephen Beresford at Goodwood Boat Co. in Cockermouth for a restoration, which involved some new timbers and centreboard casing, when completed it was like taking delivery of a new boat all over again. Since then she has enjoyed a new lease of life and much TLC. Rejoining the TOA has made a huge difference to our sailing activities. There is a world of difference between towing the boat down to the Solent for a half day’s sail and taking part in a TOA long weekend meeting. Without the TOA there is no way we would have travelled miles to sail in such faraway places. 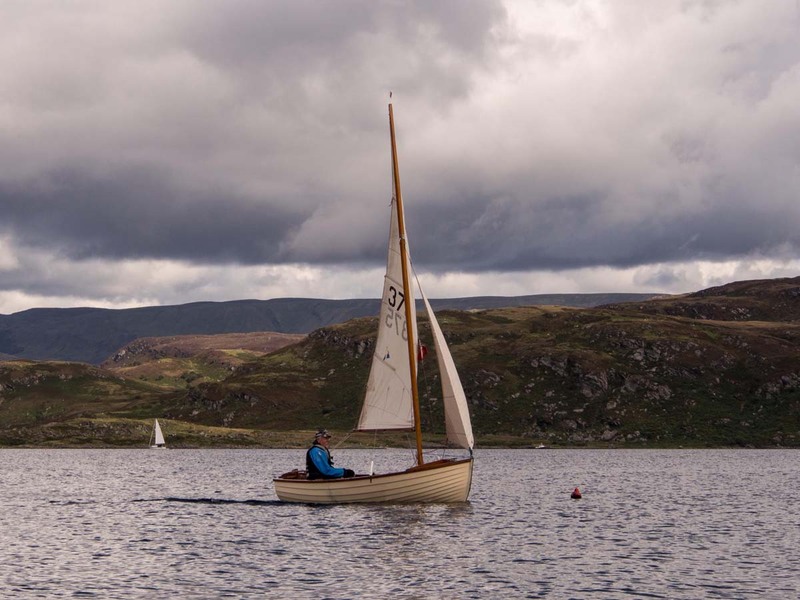 I would urge anyone with a Tideway to join the TOA and attend at least one TOA meeting a year, you get so much more enjoyment out of your boat at one of these gatherings, in addition to the camaraderie of other members at the meeting. Camping isn’t obligatory. 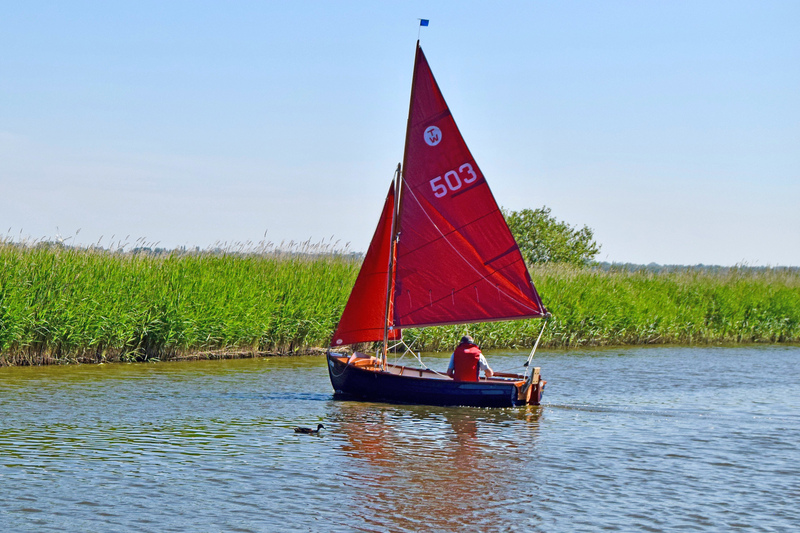 Since 2014 we have sailed on the River Blackwater, Ullswater, Windermere, Plymouth Sound, Barton Broad, River Waveney, Chichester harbour, River Deben, the Medway at TOA meetings and in Poole Harbour and at Calshot on the Solent by ourselves. The boat has been over to County Cork in Ireland for three 2 week holidays, maintaining the original reason for her purchase. The Tideway is a great little boat, so different from modern designs. Jolybods has never capsized in 56 years of use; I really feel that she is almost incapable of doing so. 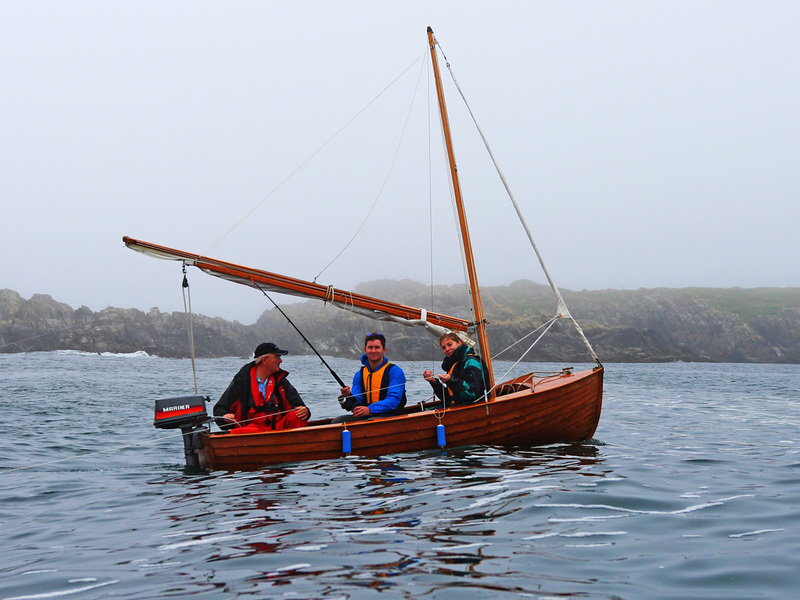 She still has the original spoon shaped rudder which exhibits plenty of weather helm when the boat is heeled. As the heel increases, the rudder loses its grip on the water and the boat spins up into wind, which I guess was part of the original design. I first came across Tideway dinghies at the RYA dinghy show in 2006 after completing my RYA 1 & 2 classes and a season sailing rented Wayfarers. 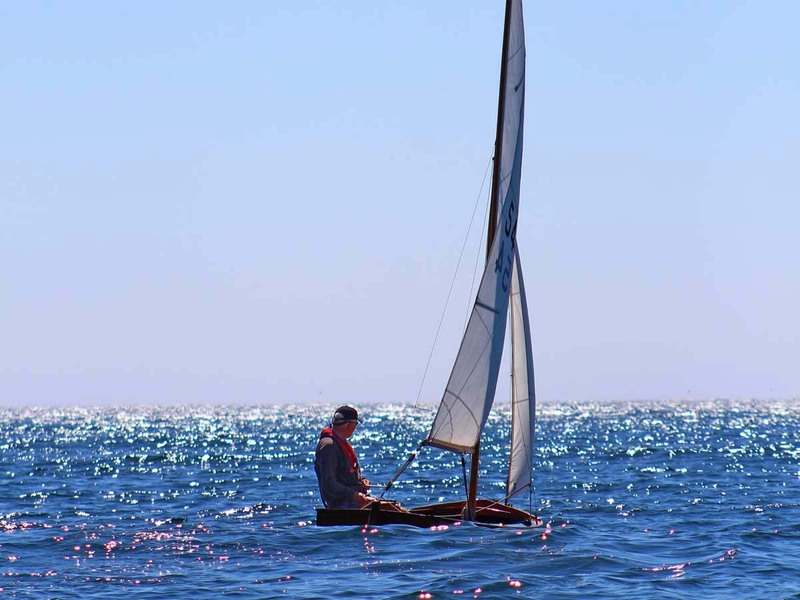 I was looking for a small dinghy that I could sail, launch and recover singlehanded. I looked at every boat on display and kept coming back to the Tideway stand where I chatted to TOA members. I decided to get a good used one – but would it be wooden or GRP? Until 1787, when the first iron barge was built at Coalbrookdale, Shropshire, the only material with which to make any ship larger than a coracle or kayak, was wood. By the late 19th century steel ships were being produced in quantity, then in the 1950s a new material called ‘fibreglass’ was developed. It was considered a wonder material and an example of post-war technical progress. It is created by forcing compressed air into a stream of molten glass. The resulting glass strings are formed into matting and then bonded together with resin, this material is now usually called glass reinforced plastic (GRP). From about 1990 most Tideways have been made with a GRP hull and wooden interior which is quicker and cheaper than traditional clinker. After a year of looking I had decided I did not have the facilities to look after a wooden boat. Then I heard a good GRP boat had come onto the market, a nice example. I bought the boat on sight and towed it home in a rainstorm. And I have never looked back. Jenny dates from 1992 and was made (very well) by Paul Gray and is an able and robust craft. A GRP Tideway has a strong and rigid hull, is able to withstand the rigours of being towed on a piggy-back trailer and does not need to ‘take up’ at the start of the sailing season. It is generally admitted that the wooden Tideway boat does look better than its GRP sisters in a beauty contest. But the GRP Tideway is an attractive boat in its own right with extensive wood trim and minimal maintenance. Jenny is quite unusual in having a bermudan rig rather than the more common gunter rig. When I purchased her she had a non-standard aluminium mast but now sports a beautiful wooden Collars mast. All things considered the GRP Tideway is a super little boat and I am very pleased with my clean and neat example. 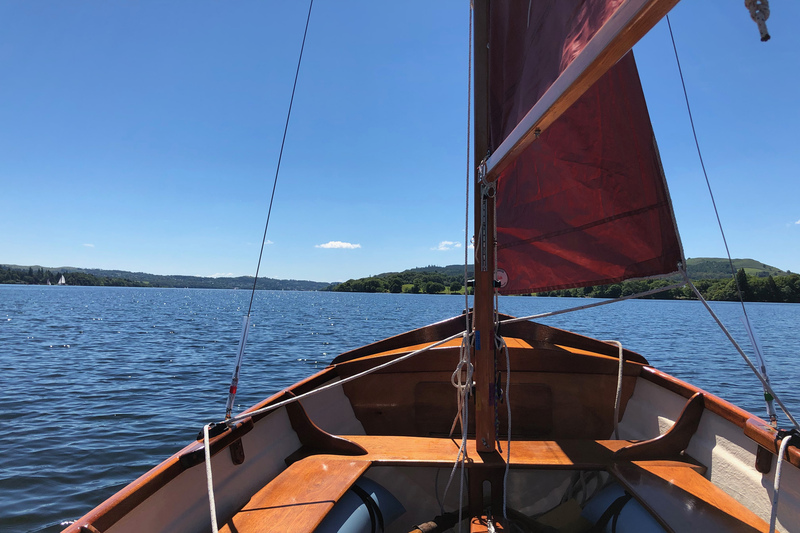 I sail her regularly, all year round, at Wakefield sailing club and have trailed her extensively to the South Coast, Wales and Scotland. – Easily rigged, launched and retrieved single handed. – A stable and well mannered craft. – Easy to maintain but with inherent good looks. I looked at many craft but they were either too big to manage single handed or a little too much in the way of acres of GRP! I looked at purely wooden boats and loved their looks but I was not sure if I had the skills to maintain and cherish them. As soon as I saw photographs of the GRP Tideway I knew it was what I wanted. That nice combination of an easy to maintain hull with the classic wooden topsides. 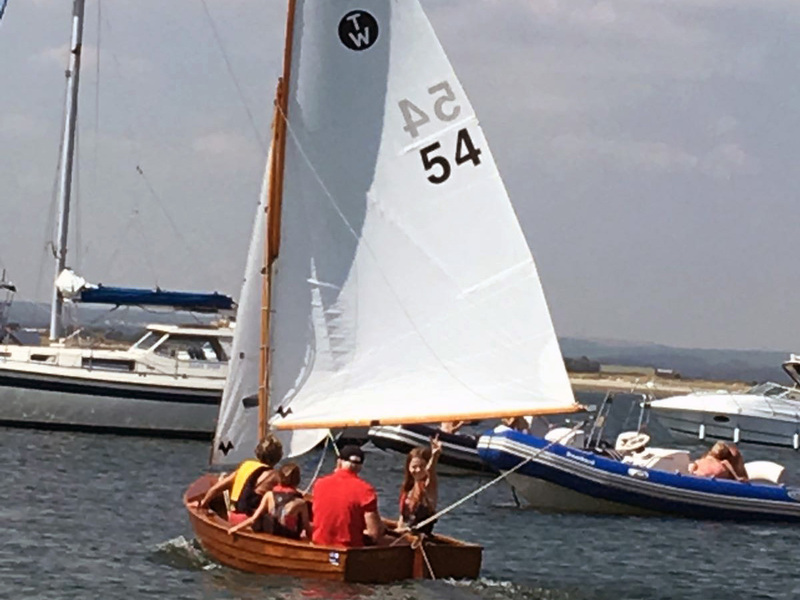 Research on the internet also showed that there was an active owners association and that these classic dinghies had an immaculate pedigree dating back to the 1950s AND are still being built. The owners association website even had listings of members boats that were for sale. To cut a long story short I bought Lyra, sail number 503 and have never looked back. At the first launch in Poole Harbour she drew admiring glances and comments and I quickly discovered what a wonderful little craft Tideways are. Easy to launch and retrieve, even single handed. Easy to rig and above all very forgiving when sailing. Good with a small outboard and easy to row when required. No tippy racing dinghy, just a stable platform such that I have no concerns sailing with my grandchildren. She does, however, have a good turn of speed and can show a clean pair of heels to many larger boats. I know I have the perfect boat for me. Safe, practical and good looking with a very friendly and active owners association. Don’t take my word for it though, try one for yourself. You will not regret it.